A review workbook for intermediate through advanced Spanish students "Repaso" is a powerful tool for review and progress in Spanish. It offers clear, concise, and well-organized grammar explanations, examples of everyday conversational usage, realia, cultural information, Spanish language and writing conventions, thematic vocabulary, and oral activities. This workbook is organized into 28 grammar chapters and seven culture chapters. The culture chapters address the language, geography, history, and literature of the Spanish-speaking world. This hefty workbook is 81/2" 11" and approximately 700 pages. 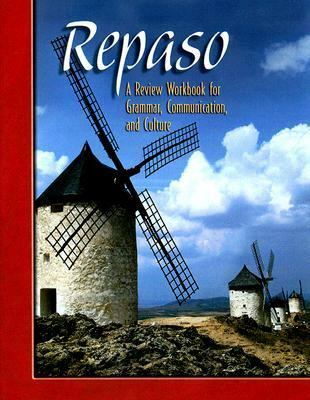 "Repaso" is an excellent resource for AP preparation!Glencoe McGraw-Hill Staff is the author of 'Repaso Review Workbook For Grammar Communication And Culture', published 2004 under ISBN 9780078460500 and ISBN 0078460506.